Meet our Australian Sea Lions! Hi, my name is Tasko! Meet our playful sea lions! 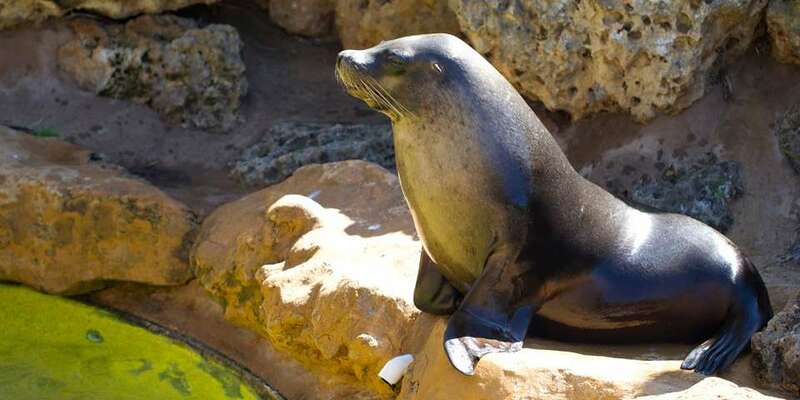 Adelaide Zoo’s female sea lion Ady, short for Adelaide, was born at Adelaide Zoo on 16 March 1997. She spent a few years living interstate at Sea World before moving back to Adelaide Zoo in February 2009. Ady is very intelligent, confident and has a playful, cheeky nature. She loves interacting with zoo keepers during daily training sessions. She is smaller and lighter in colour than her pool-mate Tasko, and wears the ‘flippers’ in the relationship. Her favourite treat is squid! 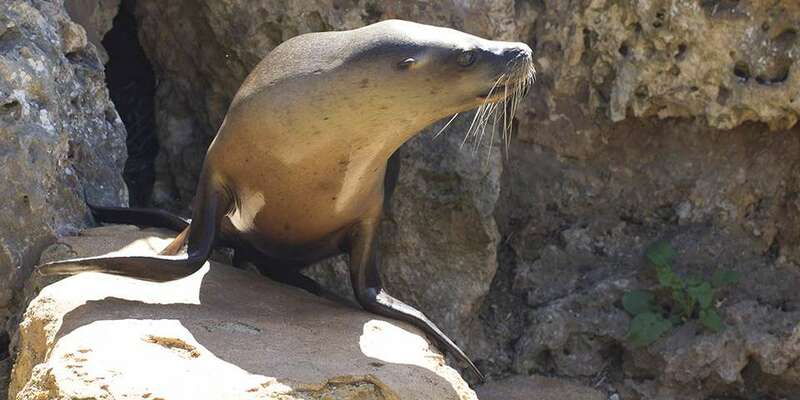 Tasko, Adelaide Zoo’s handsome male sea lion was born at Dolphin Marine Magic in Coffs Harbour on 22 May 2003. He arrived at Adelaide Zoo in February 2009 and has shared his marine habitat with Ady ever since. 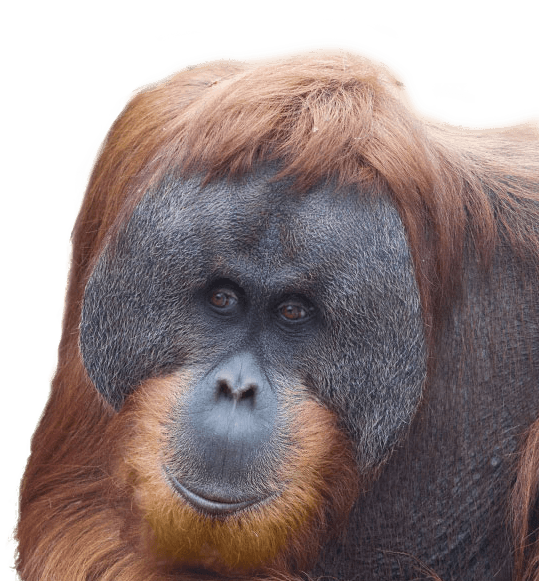 Zoo keepers describe Tasko as an intelligent and observant but with a slight stubborn streak, especially during training sessions. He’s larger and darker in colour than Ady and often has his tongue poking out when snoozing. His favourite toy is a strip of fire hose that he plays tug-of-war with Ady and he loves Blue Swimmer Crabs (who wouldn’t!). 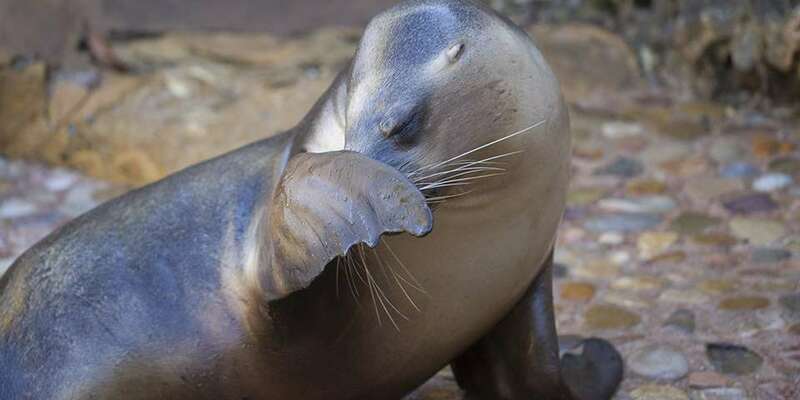 These sleek, marine animals are the rarest sea lion species in the world. 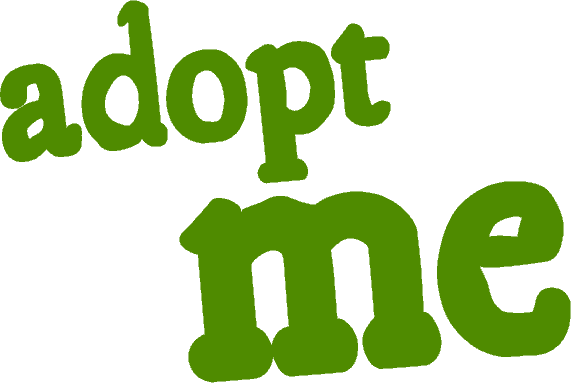 Found only in southern Australia, specifically along the South Australian and Western Australian coast lines, it’s estimated there are 13,000 animals remaining. They face three major threats; predation by Great White Sharks, conflict with fisheries and marine debris. The Australian Sea Lion is currently protected by numerous Australian conservation agencies and laws. Fisheries are monitored for their impacts on the species and recent conservation initiatives have focussed on education within the industry aimed at reducing by-catch. 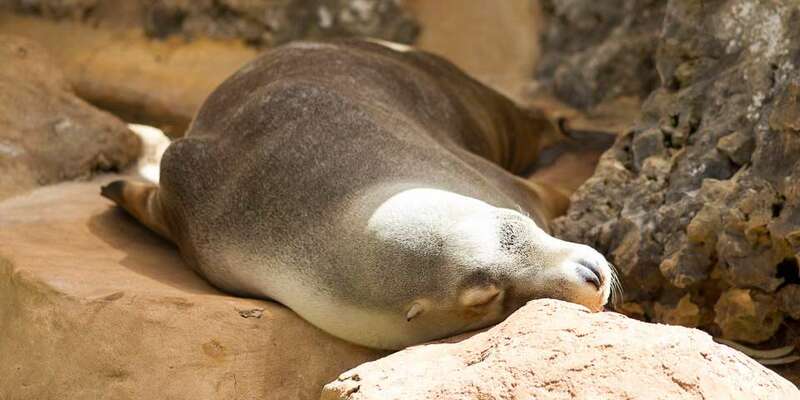 The National Parks and Wildlife Service on Kangaroo Island in South Australia is working to protect the Australian Sea Lion by restricting visitors to boardwalks along the cliff tops where they can still view these playful marine animals without disturbing breeding sites. Love sea lions? Join our colony and ensure sea lions stay a splash ahead of extinction! There are many ways you can help support these inquisitive creatures.